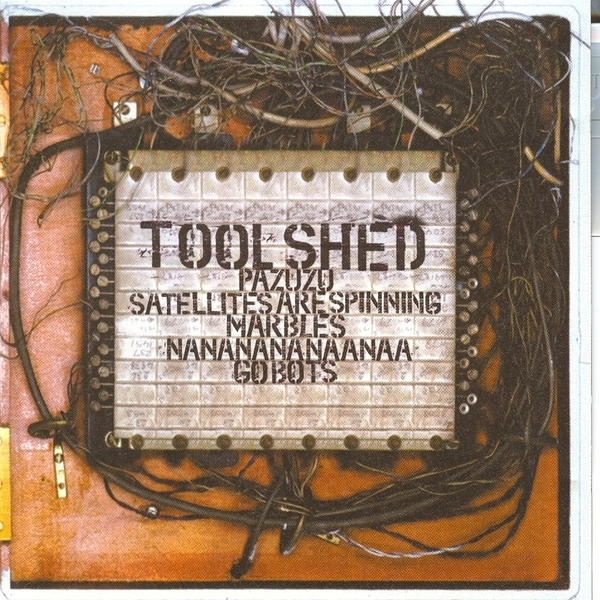 Launched in 1998, the Toolshed project initially was the name of the freewheeling electronic/improv sessions in Manchester at the world famous Band On The Wall jazz club. The brainchild of Graham Massey, their lineup has had many changes over the last few years and now shares its core crew with Homelife and in particular the wonderful Paddy Steer and Seaming To. This five tracker for the 'Nerve is largely unclassifyable, but hey! let's try - from mad surf punk stormers to outer galactic Sun Ra cover versions. Many of the weird instruments Graham has collected on his travels feature here including a Iguarglaphon?? amongst standard horns, bass and multi channel drumming. Two Massey originals, plus covers of John McLaughlin, Sun Ra and Ennio Morricone (from Exorcist 2 The Heretic soundtrack). Mad but not crazy. Check it.